The last time you read or heard anything about McLean was probably when his ballad ”Crying” broke the top 20 last summer. It marked a comeback for a folk singer who had never actually gone away. The underground of support for the man who made his earliest mark with the nine-minute epic ”American Pie” has kept him ever so popular in performance and brazen in conversation. Def Leppard is probably not the first and only contemporary band you’d expect to near praised by a man who testified that Buddy Holly’s tragic death was ”the day the music died.” He is, nonetheless, a heavy metal fan. Another surprise: McLean has no use whatever for Bruce Springsteen, not exactly a fellow folk singer, but the balladeer of a generation that followed McLean’s. “I followed Springsteen from the beginning. I caught him at Max’s Kansas City (in New York) when he was doing what l would call a Bob Dylan impersonation. 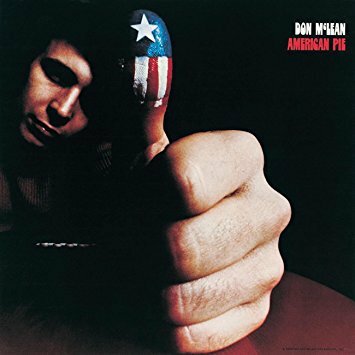 Don McLean could have made his whole career on the basis of “American Pie.” It is certainly the first song you think of in connection with his name, and he is obviously grateful for the embellishment. Yet he takes umbrage when someone like Paul McCartney is referred to as an ex-Beatle or Dylan as ”the sixties artist.” ”Is Sinatra a forties artist? ls Presley a fifties artist? It’s outrageous. (McCartney) has had 12 years of making music, hits galore, and he’s still an ex-Beatle. Must make him want to slash his wrists. “The only thing Presley had to do was die before people appreciated what he’d done and how great he really was. We enjoyed laughing at him. ’There’s that silly guy again with all his silly suits singing pop music.’ Then we realized we’d lost something very important to us,” McLean notes. Towards the end of his energetic live performances, McLean turns a somber note by swearing to the audience that white music is ,nothing but rip-offs of black artists. He is emphatic about this, using the 1983 Grammy Awards as an example. Music suffers from many ills today (besides thievery), not unlike society itself, in McLean’s starry eyes. illiteracy, he believes, is a leading factor. Somehow, enough people have kept McLean going through the years in a niche all his own. He has never had a press agent and rarely does interview anymore because, rather dangerously it seems, ”you get what I think.” Pete Seeger, on the liner notes for Tapestry, hailed him as one of the most talented singer/songwriters he had ever met: “He has a clear, in- tense gaze, a clear voice, and a clear head.” And angst, lots and lots of pent-up angst for some reason. The man who gave the nation a taste of “American Pie” 15 years ago has never stopped giving concerts and composing musical commentaries on the world, although he has dropped from the recording scene. 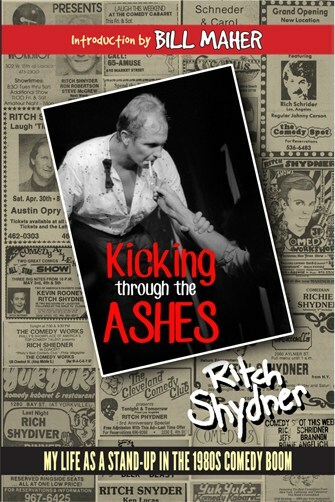 McLean will appear at Ruth Eckerd Hall’s Heye Great Room for two shows tonight at 8 and 10:30. Both are sold out. McLean says EMI/America will probably release a greatest hits collection, which might lead to videos of “American Pie,” “Crying” and “Vincent.” (Spokespersons for EMI/America in Los Angeles and New York could neither confirm nor deny this.) His last album was Believers for the Millenium label in 1982. His last hit was the cover of Roy Orbison’s “Crying” in 1981. A SELF-PROFESSED “back porch expert” on the throat, McLean has been singing since he was 5. He took vocal lessons from an opera teacher at 12 and has been making a living “with my guitar, voice and my ideas” since his 15th birthday. McLean is now 40. “IT WAS A different time, many years ago,” McLean recalls of the era in which he wrote the song. “We were in the midst of sorting out a lot of turmoil in the United States, it was not the kind of glossy, narcissistic time like we’re in now. I think” there was a tremendous sense of loss in America as well as a longing for security. My song, I think, expressed that loss, and harkened back to the ’50s and Buddy Holly, a time period when America was really number one on the old international hit’ parade. Somehow, that song either created the need or opened the door to a flood of nostalgia. I’ve never figured out which. McLean says American Pie is “one of the all-time greatest hit records in history,” although he is quick to point out the final record was better than the original song. “There were times when I was making it when I thought, God! this is the worst thing I have ever heard you guys play! They were like, ‘Oh!’ They’d never heard anything like it and they couldn’t play it. The piano player, Paul Griffith, who played with Dylan, jumped all over the song. He knew exactly what I was doing. And the piano was so much a part of that track, that he made the whole thing come together. If he had not been there, you never would have heard that song. He came along and made it right. Ask Don McLean about having his cake and eating it too. Every Don Mclean song tells a story, and behind the creation of “American Pie,” his tribute to Buddy Holly, is another good story. “It came out like every other song,” he adds. The older “American Pie” gets, the more popular it seems to become. And with “classic rock” and other oldies formats all the rage, a radio listener is just as likely to hear the 8-minute song today as when it was released l5 years ago. In conversation, McLean can be downright ornery about promoting his own work and denigrating just about everyone who has come along since. “I think that those songs are damned-near perfect in a lot of ways,” he says of his own output, “even in terms of the records that were made. I think that’s an important thing to remember, as a music critic. You shouldn’t get the songs confused with the records. It’s like getting a screenplay confused with the film. You might start out with a great screenplay, but you choose the wrong actors, the wrong director and you come up with a bad film (from) a good story. McLean wasn’t always so quick to push his “Pie.” There was a time when the popularity of the song was so overwhelming, the singer wouldn’t perform it in concert. His stubbornness cut into ticket sales, giving him a bad reputation, and caused him to fade from view for a time. Maintains. “I’ve always had full houses for the most part, but I never drew as well as people thought I should. Like many artists who found their returns diminishing in in America in the 1970s, McLean toured heavily in Europe, Australia and Japan, developing a large following there. “Overseas my name is probably bigger because I really cultivated those audiences when other artists couldn’t be bothered,” he says. The main credit for McLean’s enduring success, he believes, is the quality of the songs he had written over the years. “Although 90 percent of the time, I make records that are not commercial, there are those times when I will get a good song, have the right people in the studio and make a really big record. One of the things I’m trying to do as I get older is to take more of the guesswork out of the recording process, to make more of these songs that i feel are good into really good records. That’s where I think I’ve failed, if I’ve failed at all,” he says. Chances are, McLean suggests, that if he records another album or two, one of them will include another big hit. “But the problem is really putting more than one together,” he concedes. “That’s where I’ve had difficulty. I have a lot of variety in my stuff. 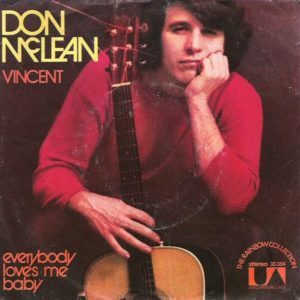 If the audience likes Don McLean singing a rock ‘n’ roll song, they might not like a ballad. If they like a ballad, they might not like the other thing. “You hear a song like ‘Prime Time’ and if you like it, you might not like ‘And I Love You So,’ ” Mclean says.